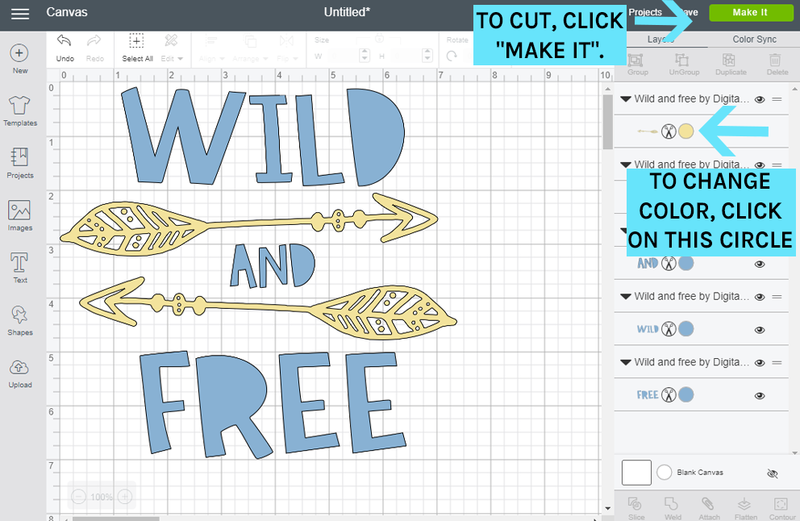 Did you spot a great SVG freebie on a blog or Pinterest that you'd like to use in Cricut Design Space? Or do you want to use an SVG file you purchased from Etsy or Design Bundles and you're not sure how? 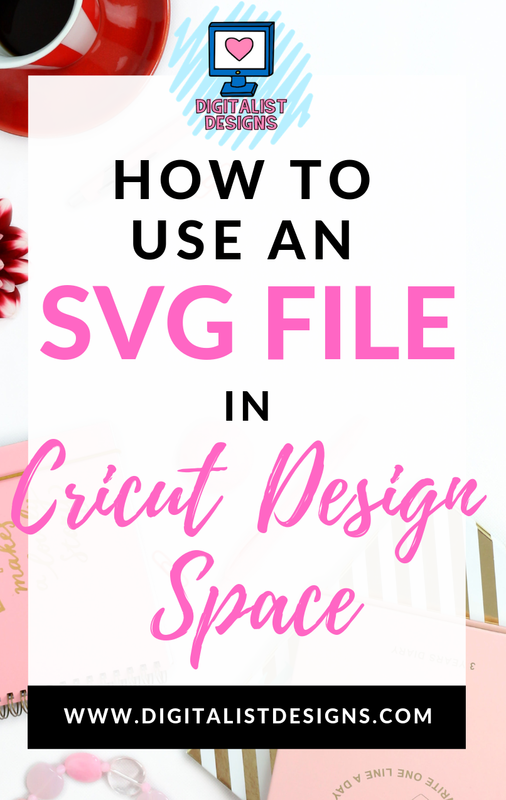 This step by step tutorial on how to use SVG files in Cricut Design Space will have you uploading files like a seasoned pro in no time! When I got my Cricut Explore Air, I was shocked at how easy this was! With previous Cricut machines, this was not possible! Now that Cricut has allowed us to do this, there's a HUGE amount of SVG designs out there that work fabulously in Cricut Design Space. If you like this tutorial, please save it to Pinterest! That way you'll be able to reference back to it whenever you need a refresher. 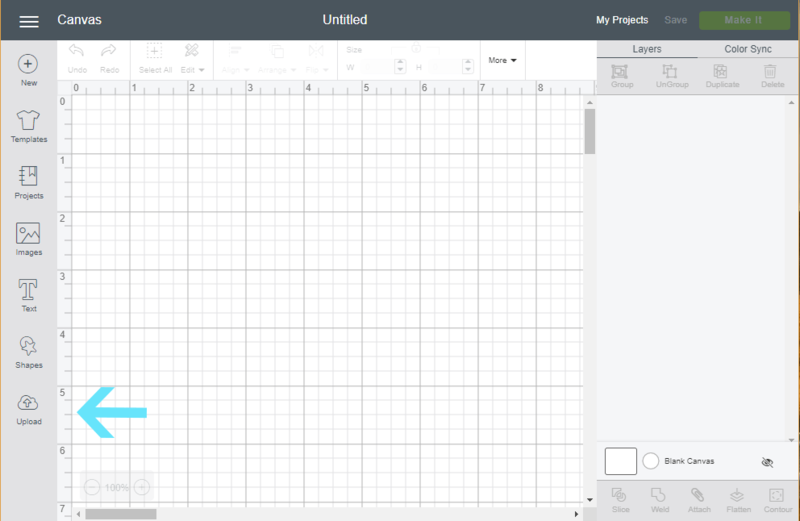 You can either create a new file, or open an existing project or design. At the time of publication, the upload button is on the bottom of the left-hand toolbar. Occasionally in updates, Cricut will move this button, but it's almost always on the left! 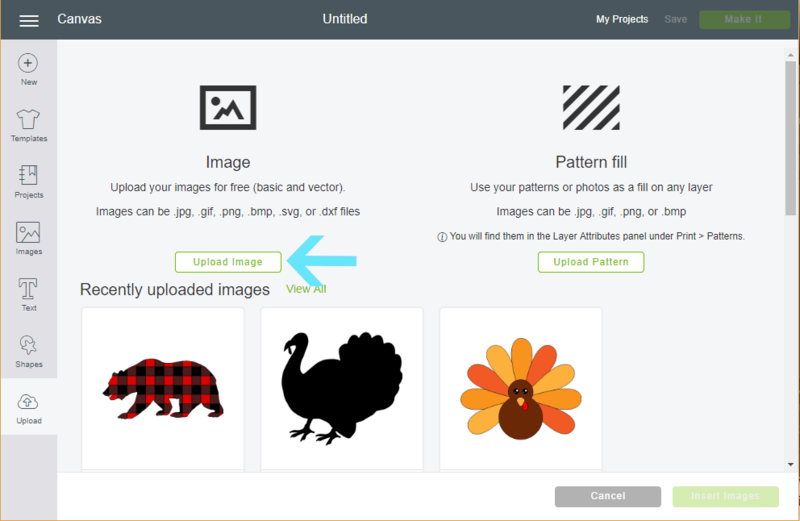 If you're using an SVG file, you'll want to select the Upload Image button underneath the Image description. I'll cover Pattern Fill in a later tutorial. In this tutorial, I have photos on how to select the SVG file and insert it through the Browse button, however you can also just drag the image into this screen and it will upload just fine! Make sure you check the next step because it's really important! This is the most important step of this whole tutorial! Seriously, this is my most frequently asked question. Find the folder where your SVG is located. Make sure the folder is unzipped. 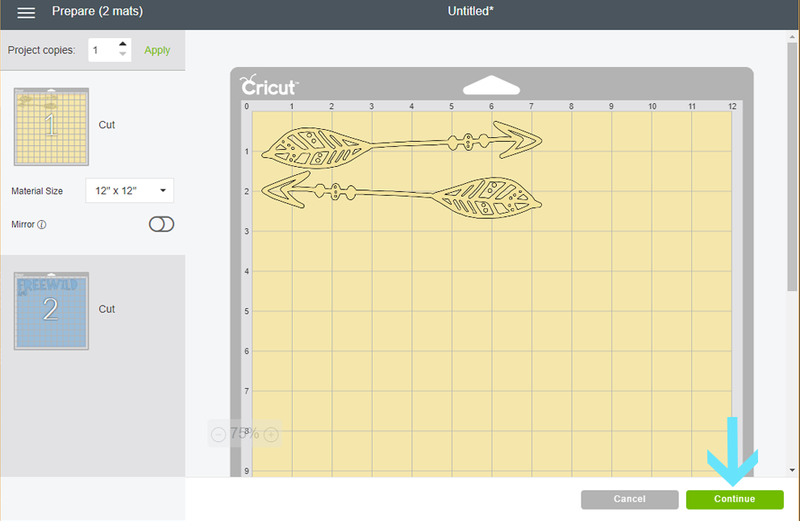 Cricut will not let you upload zipped files. After your file is unzipped, you will want to select the SVG file. The SVG file will likely be the file that looks like your web browser. In my case, I use Google Chrome, so SVGs look like the Google Chrome symbol on my computer. On a different computer, they might look like the Internet Explorer, Microsoft Edge, Firefox, etc. logo. When I hover my mouse above the file, it says that it's a "Chrome HTML Document". If you select the file and you are prompted to "select image type", trace the file, or erase white space, you have not selected the SVG file. The following screen should look like this. The name will be filled in, however you can rename it to anything you'd like. If you upload a lot of files to Cricut Design Space, you can type in "tags" so that it's easier to search. After you are finished, select Save. Under Recently Uploaded Images, you should see your newly uploaded SVG file. 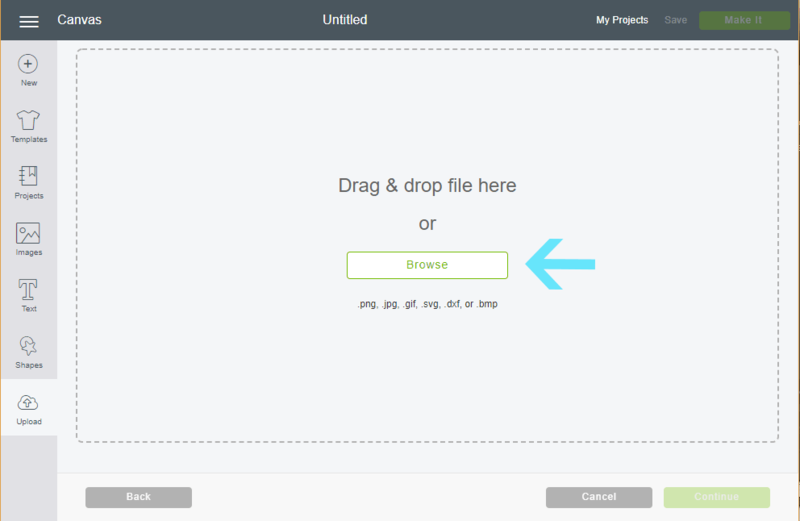 Select it, and any other files you would like to add to your design, and then select Insert Images. You will then be brought to the Canvas page. The design you uploaded should be there! It will likely be "grouped" together. If you're happy with it the way it is, you can simply adjust the size and select Make It. However, if you want to resize or move specific elements, or change colors of specific words, select UnGroup. 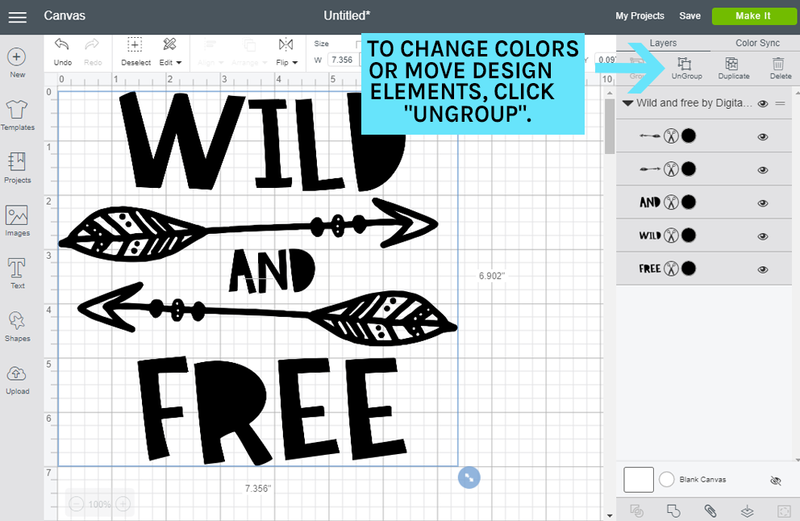 After UnGrouping, you can edit specific elements of the design. To change the color, select the small circle with a color inside it. To change the image from a "cut" file to something the Cricut will draw with a pen or marker, select the scissors and make the appropriate adjustments. When you are finished, select Make It to cut. After selecting Make It, you will be brought to this screen. The design will be sorted on mats according to color. You can rearrange them on the mat, or if you are satisfied, you can select Continue, and begin cutting. The cutting options are beyond the scope of this tutorial, but I will expand on this further in a future tutorial. 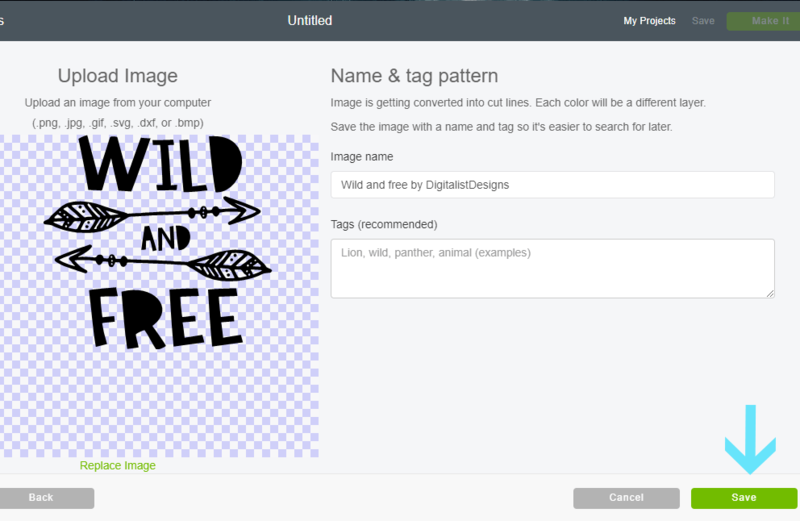 You can download the FREE Wild & Free SVG I used for this tutorial by clicking the button below! This design is available for PERSONAL USE. 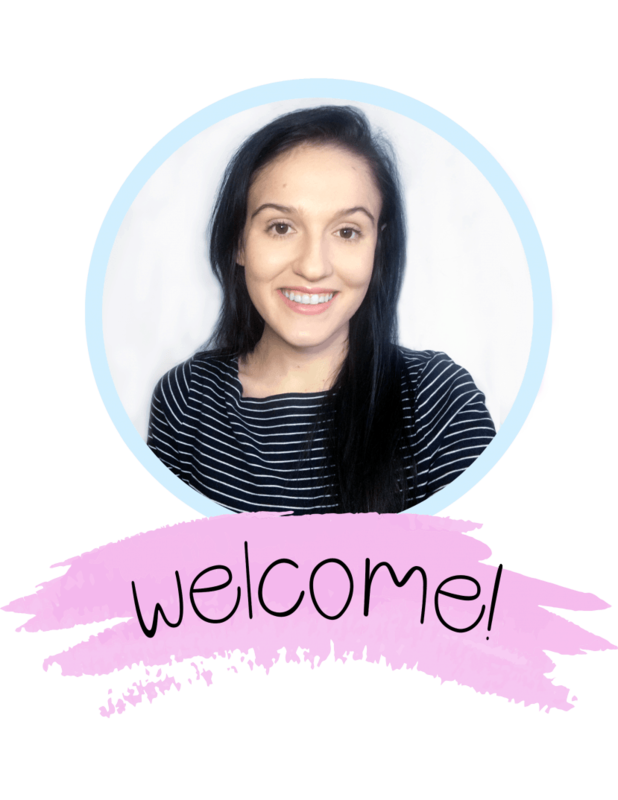 Thanks so much for checking out this tutorial on how to use an SVG file in Cricut Design Space! If you use this tutorial, I'd love it if you share what you made in the comments! 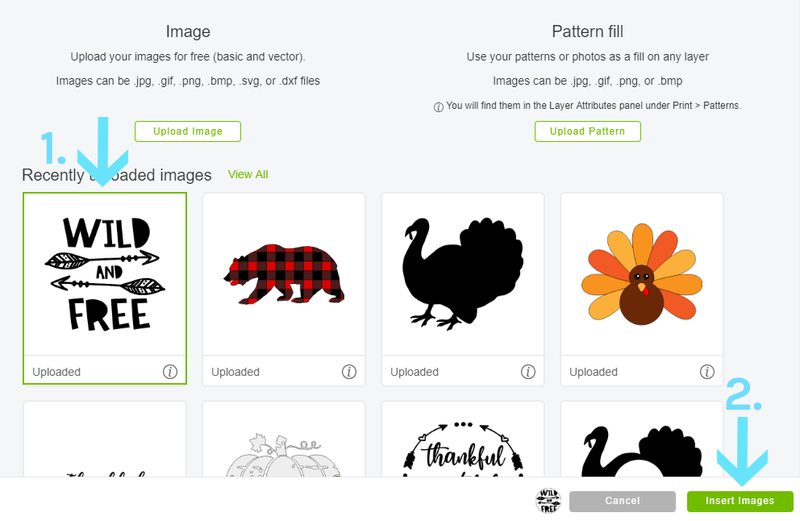 If you're looking for more free SVG files you can use in Cricut Design Space, check out my freebies page!